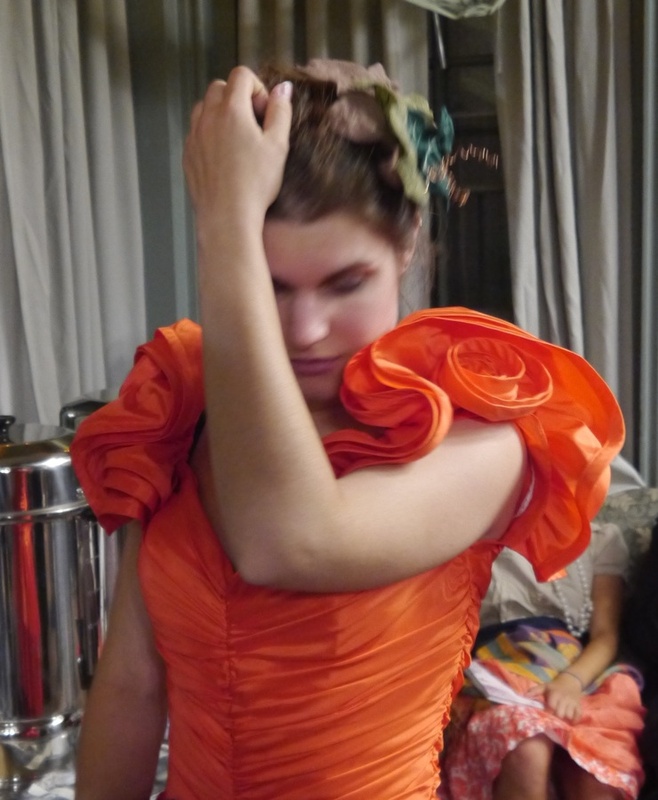 Last summer I found the most amazing/hideous bright orange plastic bridesmaid’s dress (or, awful prom dress?) and it was immediately decided that I should wear it to be a pumpkin this Halloween. So I was excited about my costume for MONTHS, although somehow I neglected to plan out a suitable pumpkin-leaf headpiece to go with it until the weekend before. 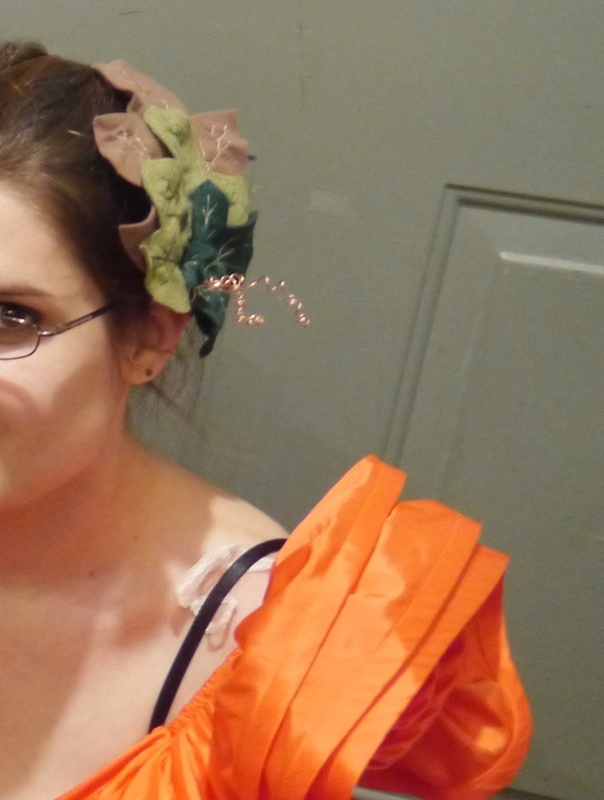 We were going to Providence for a conference and then a Halloween party, so I grabbed some felt, scissors, copper wire and a hairclip and started working on a pumpkin leaf/tendril fascinator on the train. I cut out pumpkin-shaped leaves from three colors of felt in graduated sizes and embroidered veins on them in contrasting colors. 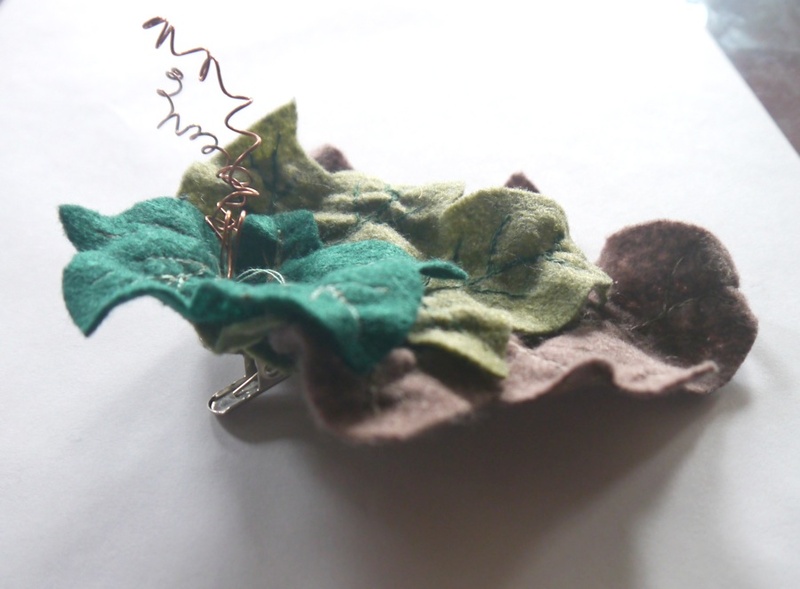 The embroidery not only added color and line to the leaves but also caused the felt to bunch up and become more leaf-textured. 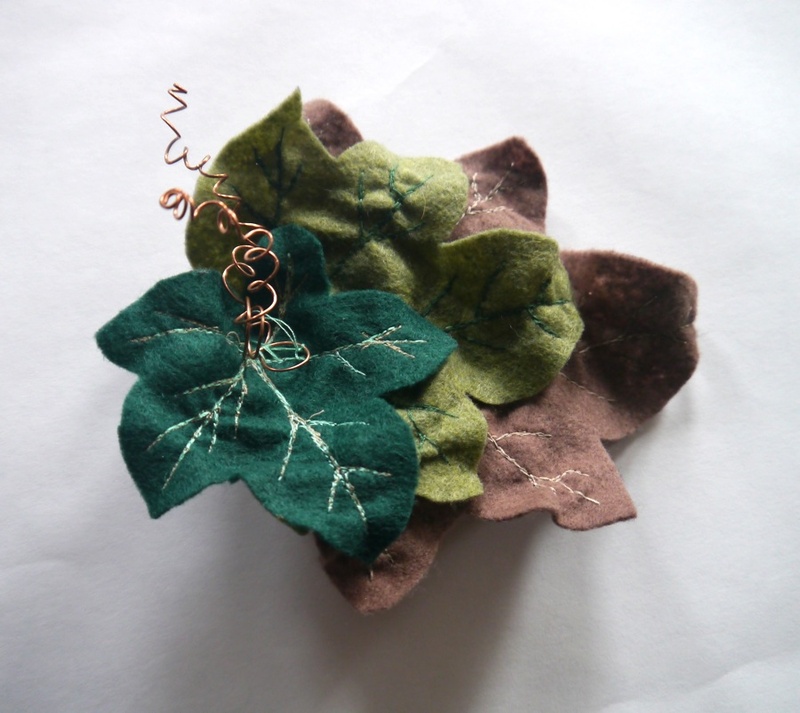 The leaves took me most of the conference, and I sewed them to the hairclip during the afterparty and added tendrils of copper wire. I’m not planning to make anything that over-the-top to sell except by special request, but I do have fascinators with similar (though smaller) leaves in my Etsy shop.